Marijuana Grow - Ino-Tek Inc.
To facilitate the growing process, new buildings are being erected and old warehouses are being repurposed. 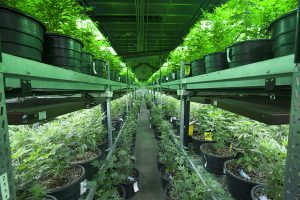 Typically classified as an F-1 occupancy, a Marijuana Grow operation faces the same regulatory environment as any other user of an industrial or commercial building. As with any other construction or renovation, the local Building and Fire Code officials may require permits for Building Construction, Electrical, Mechanical, Compressed gasses, Flammable and Combustible Liquids, Hazardous Materials, LP Gas, Automatic Fire Extinguishing/Suppression Systems, Fire Alarm and detection systems, and related equipment. Under certain circumstances, a building could be required to conform to more stringent requirements if grow operations are co-located with a Marijuana Oil Extraction operation using solvent-based extraction systems. Section 105 of the International Fire Code (IFC) will provide important information. To accelerate up the growing process, most operators are seeking ways to speed growth by injecting high amounts of carbon dioxide CO2 into their grow operations. The source of this additional carbon dioxide CO2 could be through burning Liquefied Petroleum Gas and exhausting it into the grow area or through the use of Liquid CO2 converted to a gas and released into the grow rooms. The choices involving the source of CO2 can have an impact on the Hazardous Material Emergency Alarm / Life Safety System required. Michigan law (see Advisory Bulletin dated April 10, 2018) requires a gas detection and alarm system capable of notifying building occupants of a CO2 level or release that results in a CO2 level in excess of the Time Weighted Average - Permissible Exposure Limit (TWA-PEL) as published by the Occupational Safety and Health Administration (OSHA). Ino-Tek has participated in the design and installation of gas detection and alarm systems for marijuana grow facilities across the United States. Our process – beginning with the required Hazard Review / Technical Opinion Report - ensures complete Code Compliance and promises the quickest path to a Certificate of Occupancy and full production. 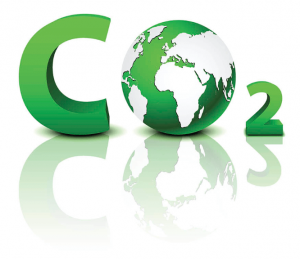 Carbon Dioxide is an invisible, odorless gas with a density heavier-than-air. Perhaps surprisingly, it is toxic to both humans and wildlife. Carbon Dioxide is commonly used to provide bubbles in carbonated drinks and beer. The use of high volume and high-pressure containers to store Carbon Dioxide for beverage dispensing has created an oxygen deprivation hazard for many food and beverage industry employees as well as first responders. All facilities with high-capacity Carbon Dioxide systems should consider the hazard to their employees and initiate protections to mitigate the hazard.